Bola Tinubu, national leader of the All Progressives Congress, APC, has revealed what leaders of the party discussed with Ekiti governorship aspirants in Abuja. 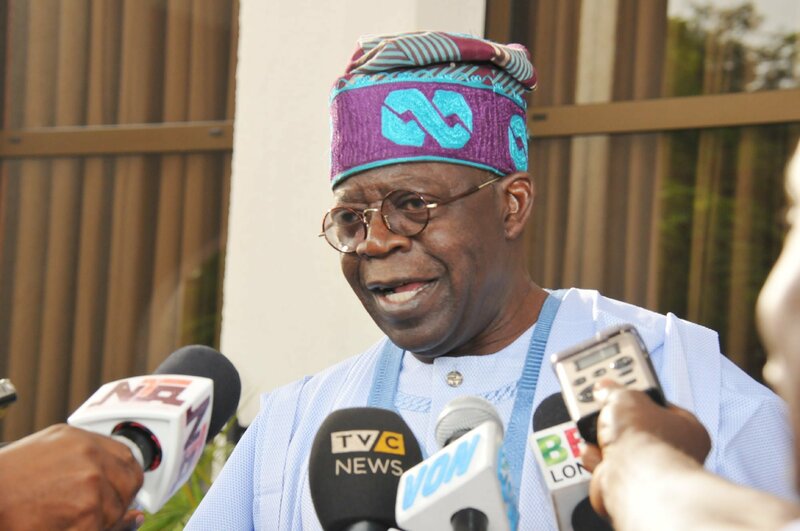 Tinubu said the governorship aspirants demanded for direct primaries for the conduct of the rescheduled primaries, as provided for in Article 20 of the party’s constitution. He said the aspirants noted that the “Direct Primaries” would enable every card-carrying member of the party vote for candidate of their choice. The statement reads, “Concerned by the developments within the Ekiti State Chapter of our party, the All Progressives Congress (APC), with respect to the huge number of Governorship Aspirants and the botched primary election of Saturday, 5th May, 2018, the leadership of the party from the South West geo-political zone on Tuesday, 8th May, 2018 met in Abuja with the 33 Governorship Aspirants who participated in the primary election to review the circumstances that led to the disruption of the election. “The leaders at the meeting held at the Lagos State Governor’s Lodge, Asokoro, Abuja were Chief Bisi Akande, Asiwaju Bola Ahmed Tinubu, Aremo Olusegun Osoba, Otunba Niyi Adebayo and Chief Pius Akinyelure. “Among other issues, the question of how to conduct a free, credible and transparent primary election was discussed at the meeting. All the Aspirants were agreeable to the intervention and admonition of the leaders that they maintain the peace throughout the process. “The Aspirants encouraged the leaders to further discuss with the National Chairman of the party, His Excellency, Chief John Odigie Oyegun, on the way forward. Specifically, the leaders were mandated to discuss with the National Chairman of the party on the possibility of an option of Direct Primaries for the conduct of the rescheduled primaries, as provided for in Article 20 of our party’s constitution to enable every card-carrying member of the party vote for an aspirant of his or her choice. “As opposed to the Delegates System, the Aspirants believe Direct Primary election is more transparent, less monetised and energises the democratic system through the participation and involvement of the generality of the party members.